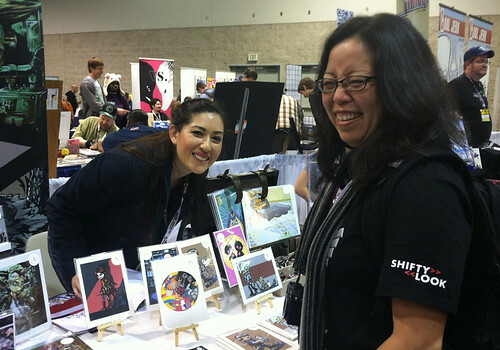 Cool Jerk » Archive » WonderCon ’12 recap! 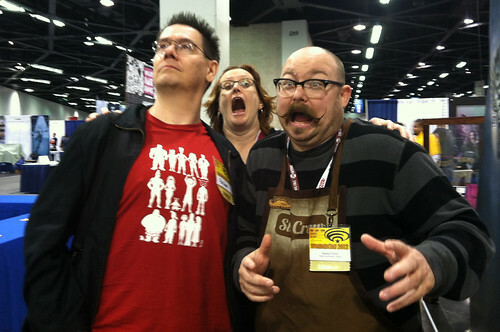 Aw, you didn’t think I’d let WonderCon go by without a requisite photo recap, did you? FOR SHAME! Let’s start with Megan Rae as Daenerys Targaryen — chowing on a horse heart — from HBO’s Game of Thrones. A week ago, I wouldn’t have had any idea who this was (Darlene and I binged on all 10 episodes over three days). And what’s funny is Megan did the exact same thing at the same time! I swear we weren’t in collusion! You might recognize Megan — she was a Dalek at SDCCI ‘09. 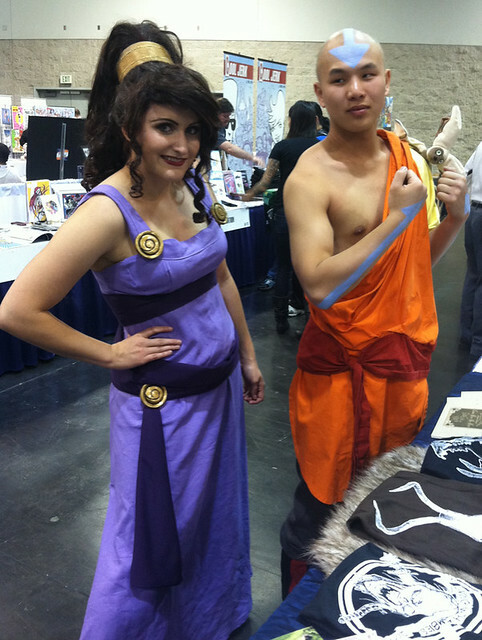 Here’s Megara (from Disney’s Hercules) and Aang the Last Airbender. First time I’ve ever seen a Megara cosplayer… and about the 400th Airbender. Here are some pals (L to R) — Michelle Mauk, who was tabling a few spots down from me. Deb Aoki, who was on assignment for About.com. You can also see Patrick Scullin of Super Siblings, standing next to the Cool Jerk table. More pals — the never-not-hyperactive Little Vampires creator Rebecca Hicks and one-man, ogre-smiting army Daniel Davis of Steam Crow fame. 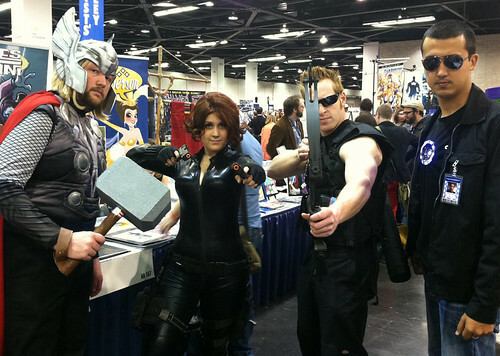 The movie version of the Avengers walked by. 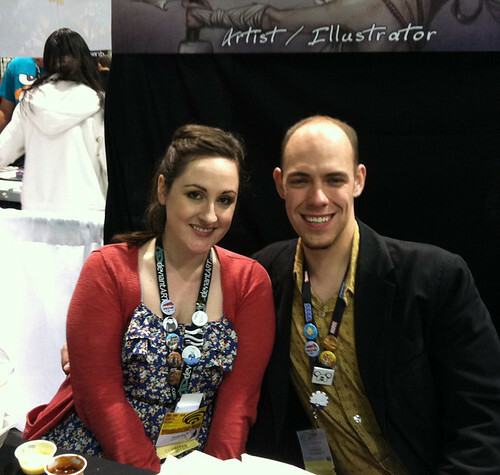 Here’s the charming and delightful Sarah Straub and her husband Beau. Dawww! 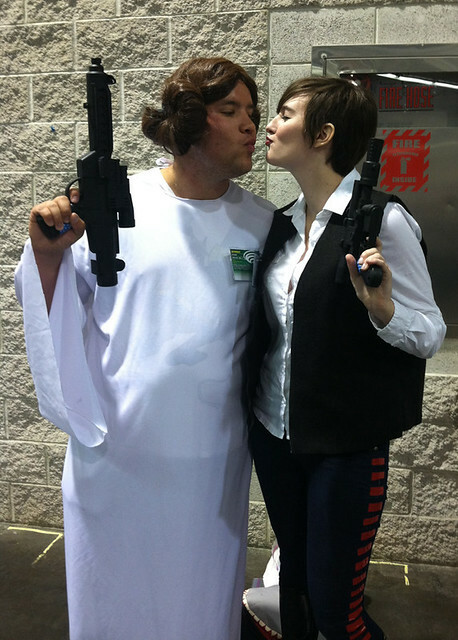 What’s a comic-con without a little Star Wars crossplay action? Mrowr! 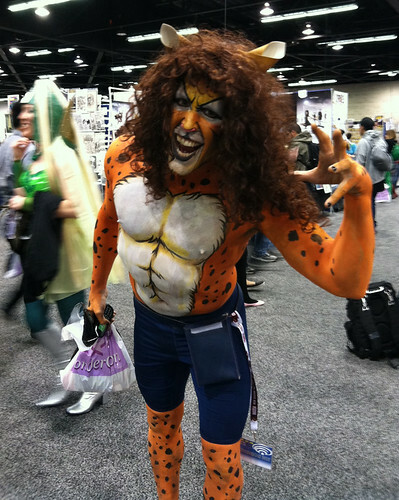 Male version of Cheetah, yes? 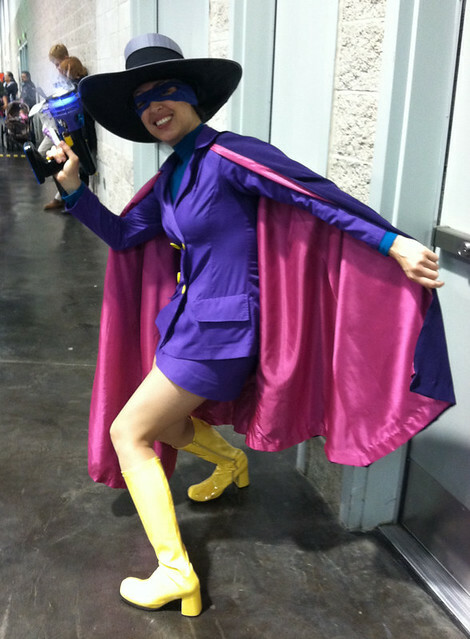 And probably my favorite cosplayer of the show — Darkwing Duck. Reasons? A) C’mon. DARKWING DUCK! B) She was totally into it. C) Her little gun smoked (OK it was probably water vapor). D) It was refreshing to not see a beloved kid-friendly character all slutted out. I’m looking at you, Booba Fett! That cheetah was a little, uh “cold”…. He also looks like Dee Snyder. That is not a compliment. I saw the Darkwing Duck cosplayer, too. She was terrific and really nice. I’m glad she didn’t have a fake duck bill.